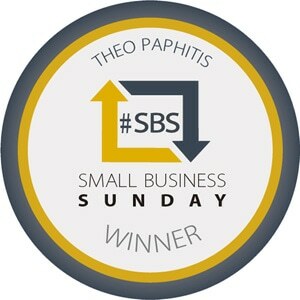 Theo Paphitis, a regular tweeter, set up the Small Business Sunday #SBS competition on Twitter a year or so back. The idea is that you tweet a sales message on a Sunday Evening between the hours of 5 and 7:30PM and then he chooses 6 messages that he then retweets the message to all of his followers, currently standing at over 233,333 people! In terms of marketing effort, Twitter has got to be one of the most simplest things to do. It is quite amazing to hear that some business people still ignore this form of Social Media. Theo has now taken this competition one step further and has organised a Tweetup. This created the opportunity for all the random winners to meet up on Friday the 30th of March at Edgbaston in Birmingham. That’s an opportunity to meet up to 400 potential contacts. It’s the first event of its kind. I was one of the early winners last year and am looking forward to meeting potential contacts. I am going down with a totally open mind. I love the randomness of Twitter, the fact that you never know what people are going to tweet next. In my time on Twitter I have met some great contacts, I have had free samples of Greek Yoghurt sent to me, I have won competitions, I pick up football scores, keep in touch with news, found new suppliers and most recently I have had a logo designed for our new website venture: SafetyRazors.co.uk. Whilst at the event, I hope that I can find some new suppliers and contacts for the new venture. If anyone going to the event feels that that they may have something of interest then I would be happy to meet up. I am also going to use the event to mark the launch of our new website and new logo, I just hope it will be ready in time.